Charriol sails towards new horizons with its latest timepiece, inspired by Christopher Columbus: the Colvmbvs™ Grande Date GMT. The generous 46mm case overtly refers to navigation and sailing: the interlocking triangles around the caseband suggest compass points, the crown takes the shape of a rigging shackle, and the sapphire crystal is engraved with the explorer's portrait. 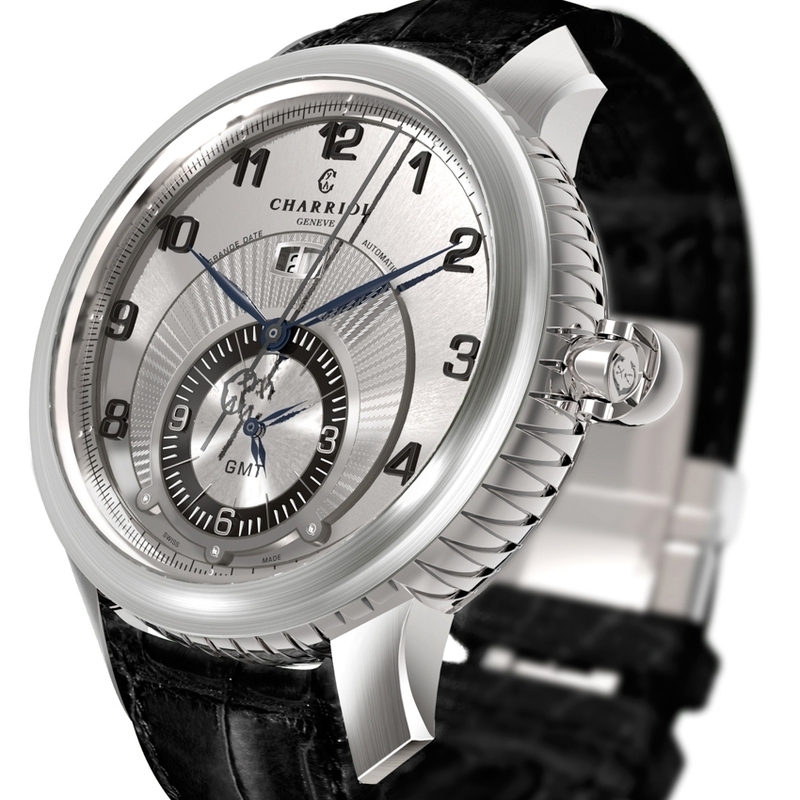 Large date and dual time zone functions make this watch the traveller's ideal companion. Equally stylish and functional, it is proposed as a 300-piece limited series.